Perfect for all outdoors people. Every year like clockwork, my wife brings home the latest and greatest skin cream for me to try out. It’ll likely be something she saw a commercial for – or a product one of her coworkers recommended. It’s the time of year my skin goes through its annual transition: Winter. 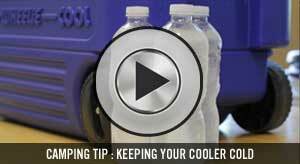 Being from the Upper Midwest, Winter isn’t just a time of year, but rather a way of life. It’ll last from just after Halloween until (what feels like) the 4th of July. Granted, I’m exaggerating a little…but not much. When I was presented with the sponsored opportunity to review the Outdoor Hands Skin Therapy Cream, I knew they had found the right guy. I was in the middle of a nearly unbearable dry spell with my hands, and if anyone could put this stuff through the paces – it’d be me. 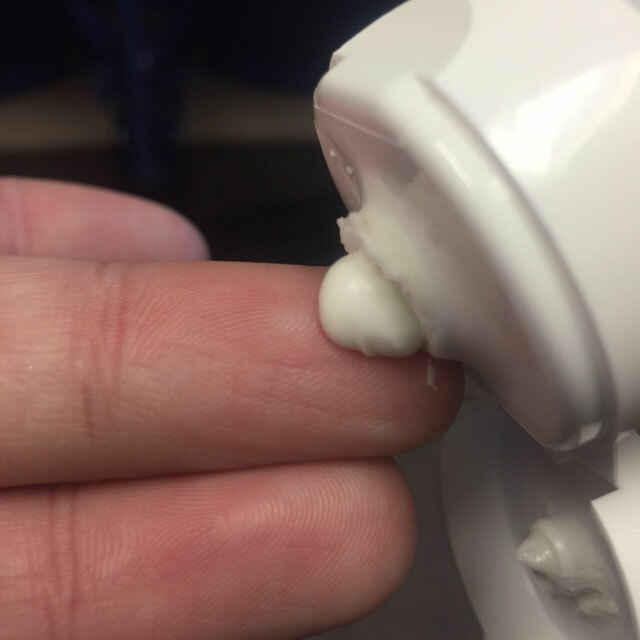 Let me start by telling you the method I used for putting together my Outdoor Hands Skin Therapy Cream review. All opinions expressed are my own. I performed my review in mid-December, in Minnesota. I hadn’t used lotion or creams of any kind on my hands for one week leading up to the trial period. 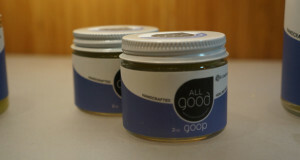 I used the cream twice a day for five consecutive days, once in the morning – and again at night. As I started my trial period, I began photographing my hands – to prove the severity of their dryness. As I reviewed the photos, I quickly realized this was a horrible idea. Not only were the unattractive, I was actually embarrassed at how awful they looked. For those reasons, I’ve spared you the pain of having to look at them. Just believe me when I tell you – they were bad. 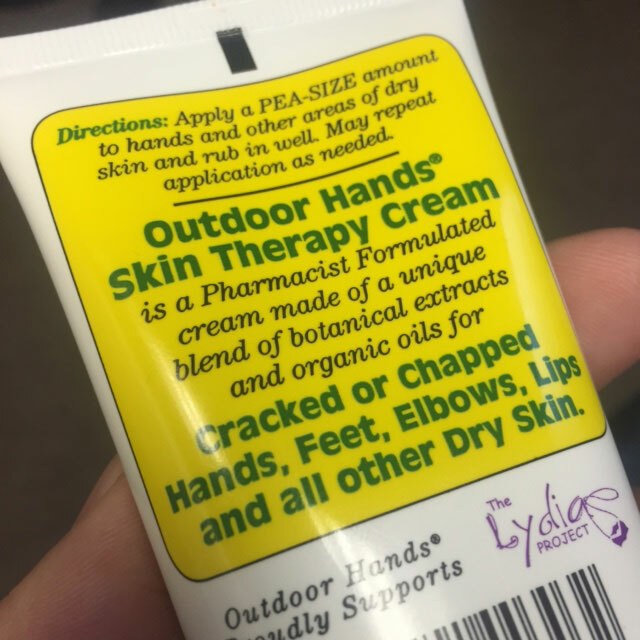 Following the instructions on the back of the Outdoor Hands Skin Therapy Cream package, I applied a “pea-sized” amount to each of my hands – and rubbed it in well. Having used too many hand products to count, there are two types of lotions and creams I hate: too thin or too thick. For some reason creams that fall into both of these categories end up leaving my hands feeling greasy, which I find annoying. It’s also been tough to find a solution for dry hands that’s made by people who understand outdoor lifestyle. The folks at Outdoor Hands obviously “get it”. 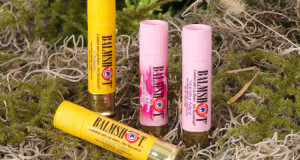 First launched in 2007 at the urging of a professional fisherman – this is a product that was created for anyone who spends their time outdoors. One of the things that stands out from my test, was the longevity of moisture for hours after application. Each time I used the cream, it felt as if a blanket of moisture and protection was covering my hands. It wasn’t invasive, but actually quite comforting. After just a few days, spots on my hands that would normally take months to clear up began looking like they were healing over. It was almost magical. 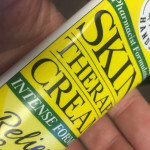 After about two days of regularly using the Outdoor Hands Skin Therapy Cream, I began using it not only on my hands, but also on my arms as well. Something happens with my skin when I’m forced to wear long sleeve shirts for eight months at a time. It’s somewhere between dry skin and a rash. 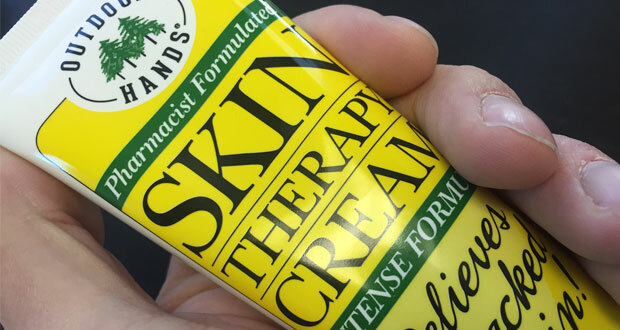 The Outdoor Hands Skin Therapy cream honestly cleared it up faster than anything that I’ve tried in the past. Lastly, I’d like to comment on the scent of the cream. I’ve grown accustomed to creams and lotions that smell like a medicine cabinet. Heavily medicated, and things I’d be concerned about my kids getting into. 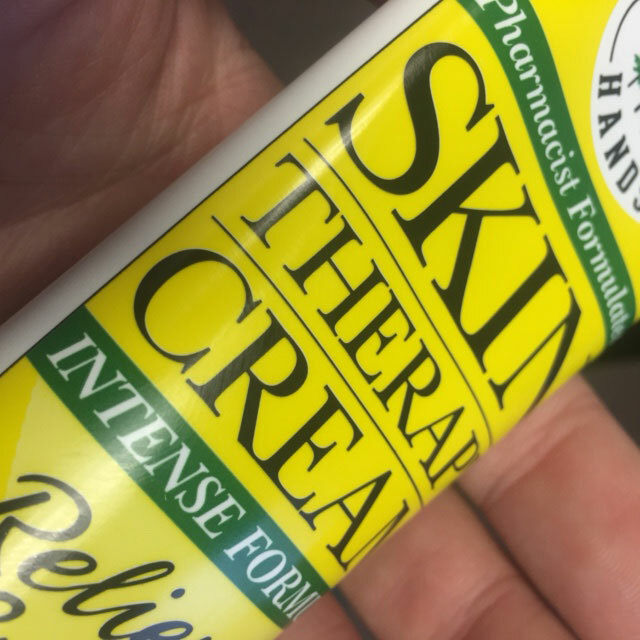 The Outdoor Hands Skin Therapy Cream is really quite pleasant, and is scented in a way I imagine would be pleasant to both men and women. It’s somewhere between a citrus / ginger / organic scent, but definitely not overpowering. If you’re prone to dry hands, and don’t want to pace your way up and down the aisles of your local drug store, Outdoor Hands is a must have. For more information on Outdoor Hands Skin Therapy Cream Click Here. 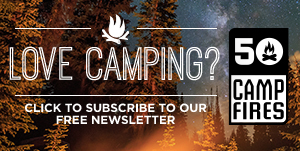 Outdoor Hands is offering a special 50% discount code, especially for 50 Campfires readers! Enter: CAMPFIRES50 at check out!